We are delighted to invite you to the 17th annual Yaroslavl Endoscopy Symposium “Advanced Digestive Endoscopy - YES 2017” on June 30 - July 1, 2017. It is our great honor to announce that the traditional workshop in Yaroslavl has been selected by the Japan Gastroenterological Endoscopy Society as one of the events to be held under the JGES endorsement in Russia. The overall goal of this Workshop is to provide information about current technologies and to enhance knowledge about the diagnosis and treatment of the GI tract diseases. The key teaching advantage of YES-2017 is the combination of live demonstrations of standard and advanced endoscopic procedures, state-of-the-art lectures and hands-on-training. The highlights of the conference will feature demonstrations of advanced therapeutic methods: novel EMR and ESD techniques in esophagus, stomach and colon, advanced pancreatobiliary endoscopy, HybridAPC ablation of Barrett’s Esophagus. The audio-visual transmission will be broadcast live from the endoscopic operating theatre of the Yaroslavl Regional Cancer Hospital. All procedures will be performed by the internationally renowned experts from Europe, Japan and Russia. 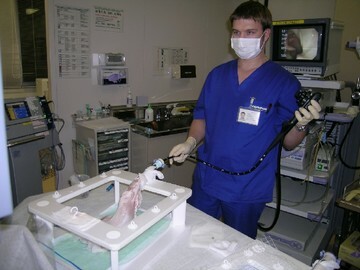 YES 2017 will allow participants unrivalled hands-on exposure to advanced endoscopy techniques and devices, utilizing a combination of ex-vivo animal models (pig stomachs, bovine colon) and simulators for training. Gastroenterologists and GI residents, GI surgeons and radiologists, as well as general practitioners and medical students are all welcome to YES 2017. Russian and English will be the official languages of the Workshop. Welcome to Yaroslavl - an ancient Russian city where East and West meet professionally!